When I was growing up my dad was in the United Nations and we lived in Cyprus for a total of 5 years. Back then the island was not only split in two (it’s divided by a ‘Green Line’ – the border between the north and south) you couldn’t even fly direct to the north of the island. Things have happily changed and now everyone can easily access both sides of this beautiful island. It’s a land for romantics, dotted with castles, churches, monasteries, mosaics, white-sand beaches and the bluest of seas. Drive through the stunning Kyrenia mountain range until you find the horseshoe-shaped harbour. With Kyrenia Castle to one side; surely one of the prettiest in the Mediterranean. Dine in one of the seafront restaurants, sip a brandy sour (it’s what the locals do) as the sun sets and people / boat watch the evening away. 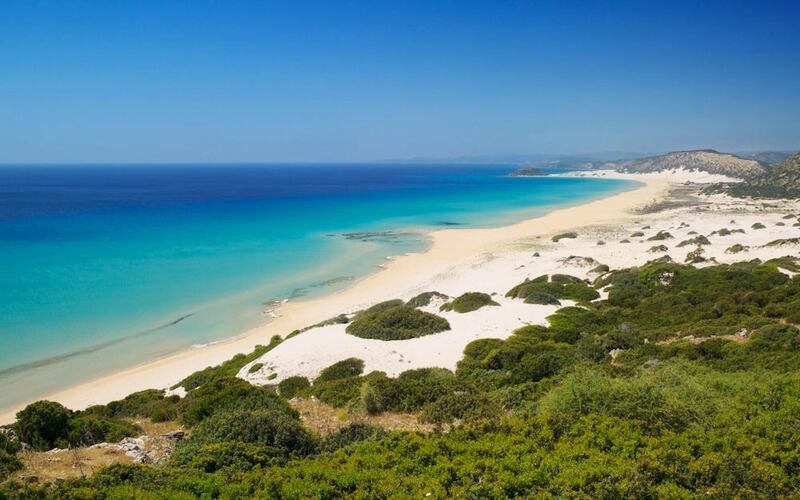 From boat cruises along the northern coast, to swimming with turtles or diving, there are many benefits resulting from the fact that the Northern Cyprus coastline has been unspoilt for centuries. 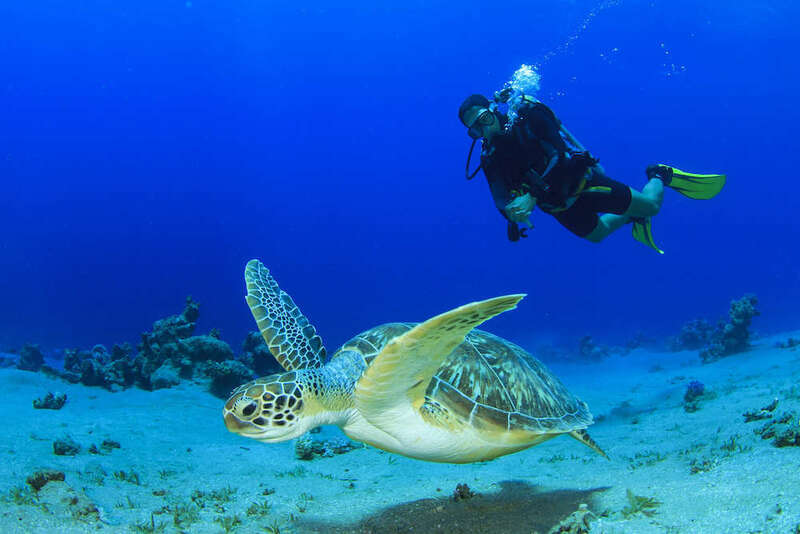 North Cyprus offers over 200 miles of coastline offering marine life of all shapes and sizes to explore. Octopus, turtles, shoaling fish and shipwrecks await you. 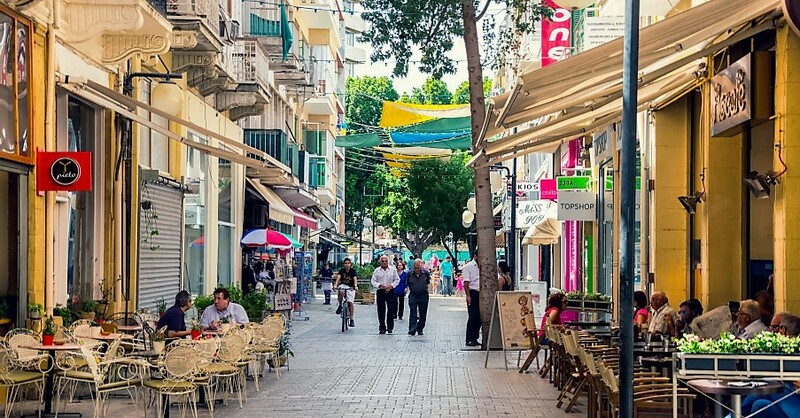 The capital city, Nicosia, is a walled city brimming with character – rich with history and architecture, a covered Market and the busy Ledra Street. The divided capital of Nicosia (Lefkosia) and North Nicosia (Lefkoşa) has an old-town tumble of skinny lanes, squeezed between the remnants of Venetian walls, leading to medieval churches and Ottoman mosques (oh, and the odd Topshop or two, look closely above!). If you cross from one side to the other you might be asked for a passport check halfway along the street, but other than that, it’s pretty easily accomplished. Cypriot cuisine is a Mediterranean muddle of Greek, Turkish and Middle Eastern influences that sings with fresh flavours. 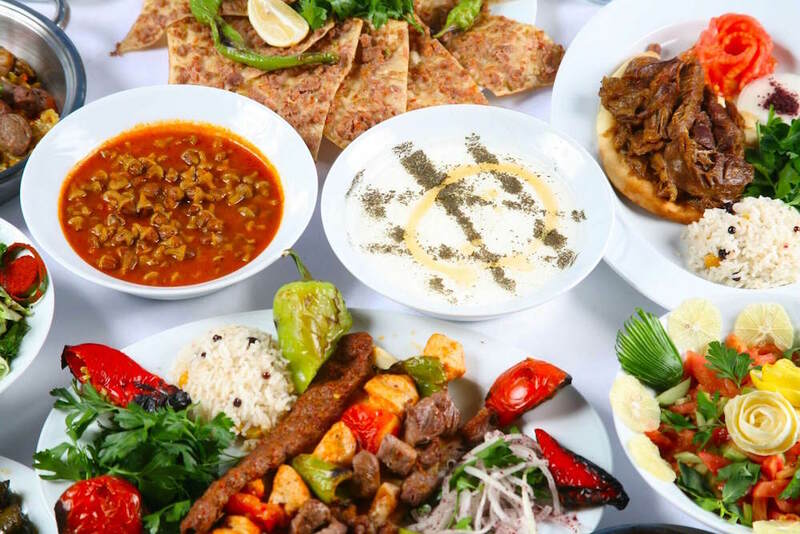 Think vine leaves stuffed with rice, onions and tomatoes or ‘shish Kebap’ (marinated lamb, skewered and grilled over charcoal)… You can have Mezes as a starter to share or even as a main meal, barbecued fish, mouth-watering salads and a wide variety of honey sweet desserts including the many-layered baklava. Salivating, much? 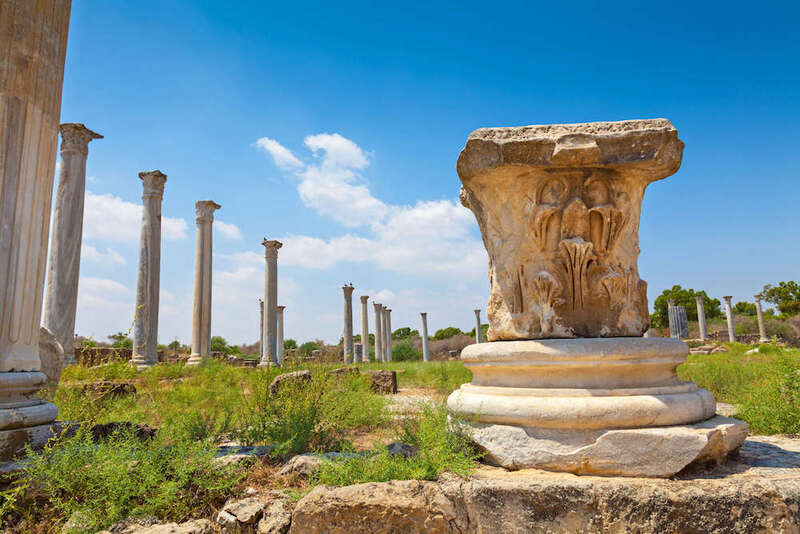 Just inland from the endless blue-sky days and miles of sandy coast are some seriously well-preserved ruins, like those at Salamis, in Famagusta. This was the capital city under the Roman Empire and includes a grand gymnasium and theatre which seated some 15,000 spectators. The remains of Salamis also includes an extensive bath complex. What is left of the ancient harbour of Salamis can now be seen under the clear waters of the Med. Stunning. For more information check out Cyprus Premier or drop into a branch of Baldwins Travel Group, by visiting one of their Kent branches in Tunbridge Wells, Tonbridge, Maidstone, Cranbrook, Sevenoaks and Tenterden. Or Lewes and Uckfield in East Sussex.